Things are heating up this weekend as we head into the holidays with the big art fairs in London and Miami just around the corner. There are just SO many amazing shows around the world this weekend. Hard to pick just one to highlight here, but with Jeremy Fish invading the halls of the Laguna Art Museum this weekend, our movement takes another huge stride towards mainstream acceptance from the art world at large. Opening in conjunction with “Collecting California: Selections from Laguna Art Museum” which outlines some of the most significant works of art created in California over the last 150 years, Fish’s exhibition is bound to be viewed by a whole new segment of Southern California art patrons, and that is a beautiful thing indeed. Don’t miss this landmark show! 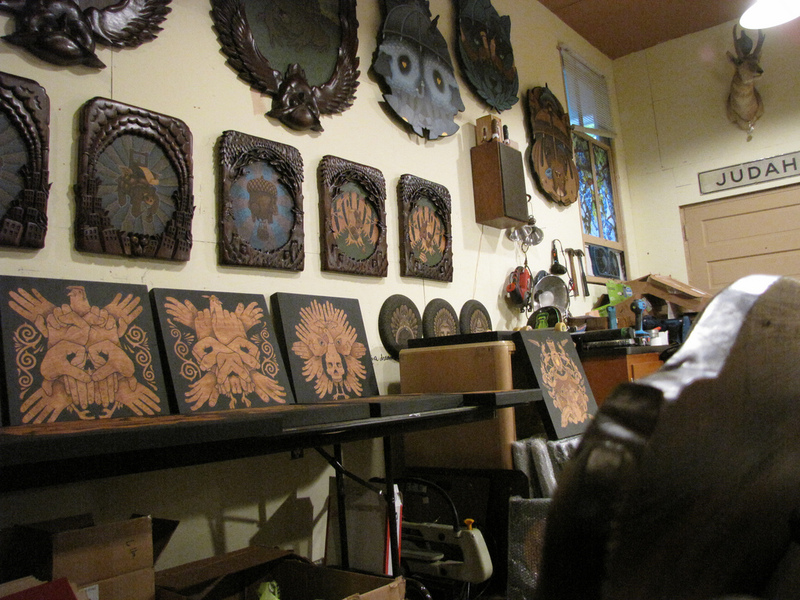 “Weathering The Storm” featuring new works and an installation from Jeremy Fish (in the upstairs galleries). Private invite only reception on Sat, Nov. 7th now open to public due to overwhelming demand. “Top of the Dome VI” group show featuring customized ceramic skulls created by Gregg Stone. Artists taking part this year include Cope, Ghost, Randy Kono, MAD, Vyal, Make One, Erik Rodriguez, Nathan Cartwright, Macsorro and many, many more. “Quinquennium Exhibitum” Celebratings Nucleus’ 5 year anniversary. “Three Apples” special event celebrating 35 years of Hello Kitty including a group show featuring Hello Kitty inspired works from over 80 artists – Swing by and meet some of the fabulous artists that created pieces for the Three Apples Art Exhibition – this party is hosted by Sanrio and JapanLA in association with Juxtapoz Magazine. Live Painting throughout the day with Three Apples artists! All completed works will be auctioned off to benefit Three Apples Charitable partner L.A. Works. As always, please be sure to check out www.sourharvest.com for a more in-depth look at additional events taking place in the Los Angeles new contemporary art scene.